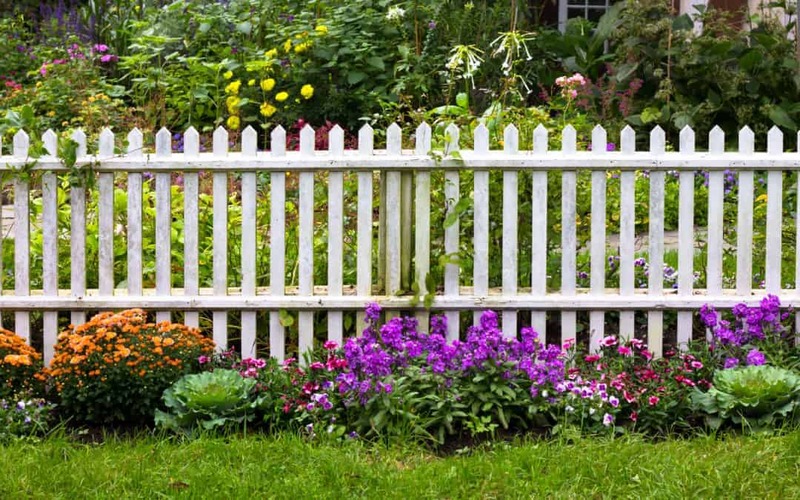 Wooden fences can be beautiful, but they can also take some work to maintain over time. Especially after a rainy season, like the one we just had in the Dallas-Fort Worth area, you may find that moss has begun to grow on your fencing, and cleaning it off can damage the fence if you don’t handle it correctly. Additionally, you’ll want to reduce the chances that the moss will return, and that must be done the right way to protect your fence’s surface. Fortunately, when you have the right skills and tools at hand, you can remove moss from a wooden fence relatively easily, and help discourage it from coming back. If you clean your wooden fence on a regular basis, you won’t end up with a big buildup of moss. To keep your fence as clean as possible, just use plain water and a scrub brush, or a pressure washer on a low setting to avoid damage. That way you won’t be using any chemicals that could harm the wood, damage your grass or landscaping, or seep into the soil and potentially get into the groundwater sources in your local area. Of course, sometimes water and a good scrubbing just aren’t enough. If your wooden fence has been neglected for a while, or it’s in a location where it stays damp throughout a lot of the year due to shade or other issues, you may need to use an actual cleaner on the fence. Putting 1/2 cup of vinegar into a gallon of water and spraying or coating the moss with that solution for 15 minutes can help to kill and loosen the moss. Then you can scrub and rinse the fence to make it cleaner. You can also try baking soda and water, which will give you the same basic value. Both are good choices, and they won’t harm your fence or your surrounding plants and landscaping. There are chemicals and solutions you can purchase at your local retailer or hardware store, too, but many of these can be harmful to nearby plants. If you need to use them to clean the moss from your wooden fence, be sure you focus on keeping them away from your plants as much as possible. That way you can reduce the chances of damage to your landscaping and still have your fence look great. Moss won’t completely stay away from your fence in a damp or wet climate, though, so you’ll need to clean your fence periodically in order to make sure it looks great and doesn’t get a build-up of moss on it in the future.